Binoy joins LC3M from University of South Australia in Adelaide where he completed his PhD in Environmental Remediation (2011) and worked initially as a Research Associate and then as a Research Fellow at the Centre for Environmental Risk Assessment and Remediation (now Future Industries Institute). Currently also he holds an honorary Research Fellow position at the Future Industries Institute. Binoy did his BSc with Honours degree in Agriculture from Uttar Banga Krishi Viswavidyalaya (North Bengal Agriculture University), and MSc in Soil Science and Agricultural Chemistry from Indian Agricultural Research Institute (IARI), India. 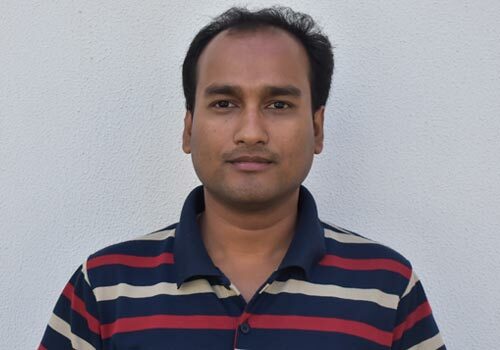 Binoy’s PhD and post-doctoral research has encompassed the practical remediation of contaminated soil and water which has been underpinned by a detailed knowledge of the physico-bio-chemical phenomena occurring at the particle-contaminant-bacteria interface. He holds an array of technical and managerial skills in soil science, environmental chemistry, applied clay mineralogy, advanced materials characterisation, research project management and post-graduate student supervision. Binoy’s research has been supported by a variety of competitive research grants, awards and fellowships from Australian and international funding sources. He was awarded the Australian Government sponsored Endeavour Research Fellowship to visit and conduct research at the Department of Geological Sciences, Indiana University, Bloomington, USA. Binoy is also a recipient of the Australasian Soil and Plant Analysis Council (ASPAC) Geof Proudfoot Award. Binoy maintains active research collaborations with researchers in Australia, UK, USA, India, Italy and Republic of Korea. He is an active member of more than ten different professional societies in the field of soil, environmental and clay sciences. He has served as the vice-president of the South Australia branch of Soil Science Australia. He routinely reviews articles in more than 20 scholarly journals.